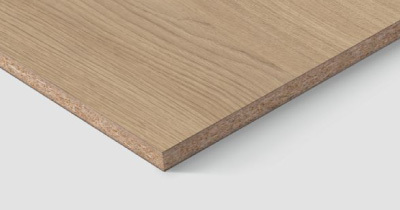 This is a High-density MDF board with a hard, fine and smooth melamine surface. The board is subject to minimal expansion and swelling in conditions of high humidity. 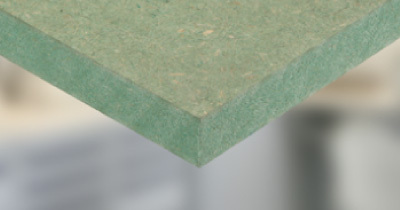 This MDF has low formaldehyde emission (E1 class). Moreover it meets the requirements set by the California Air Resource Board (CARB – phase 2). According to ASTM E 1333-96, formaldehyde emission is less than 0,11 ppm, which corresponds to CARB, phase 2 as set by the ACTM. The MDF is in principle coloured green in the mass. The dye is only used for reasons of recognition. The intensiveness of the green colour might vary between different production batches and thicknesses. E0 means there is no added formaldehyde (chemical compound) to the chipboard during production making it extremely GREEN friendly. However this does not mean that the boards are completely chemical free as there is natural formaldehyde found in timber. 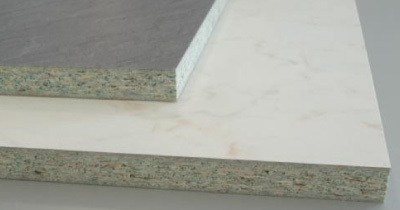 P3 means the board is produced with a certain water-resistant resin, moisture resistant boards are generally indicated by a green colouration either throughout the board or as a band or layer within the boards construction. Please note these boards are not waterproof and will not withstand serious water exposure for long periods of time. Moisture from building works such as fresh plaster works, occasional spillages and higher humidity levels can be accommodated. The main advantage is that the 16mm chipboard does not bow or bend in different climate conditions. Please note most boards sold in Southern Africa are E2/P0 which are not accepted in Europe due to environmental laws. 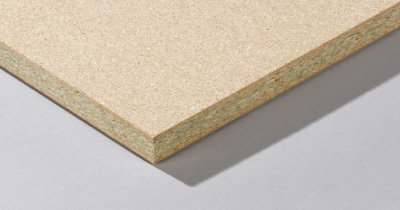 This is a High-density MDF board with a hard, fine and smooth RAW surface. The board is subject to minimal expansion and swelling in conditions of high humidity. These sheets are supplied on E1/P2 18mm MDF imported from Portugal and meet all the standard eco-friendly requirements world wide.